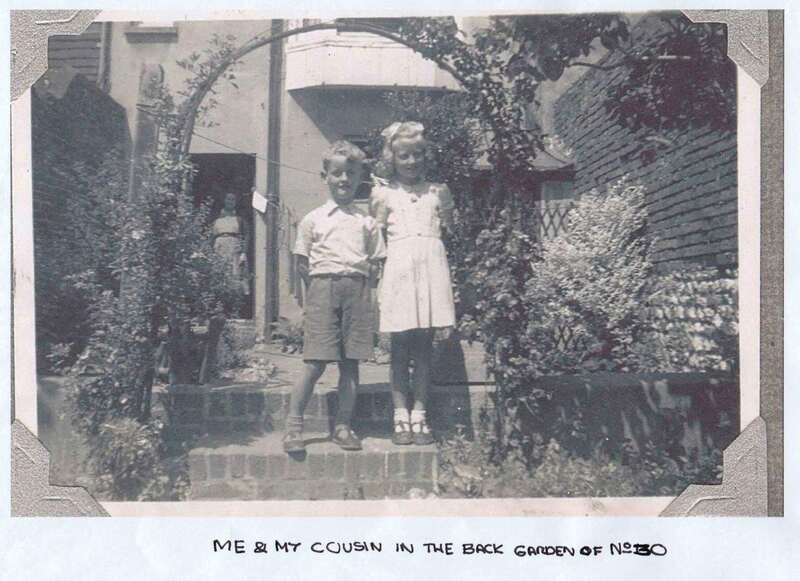 This account was given to me by Peter Young, who lives now in Winterbourne Mews, Lewes. Peter’s mother was Edith Gertrude Young (maiden name Cotton) b. 17 April 1903, d. 18 June 1991. She married Peter’s father Oliver in Lewes in 1935 and they lived in Brighton. Oliver died in 1942. Peter’s maternal grandparents Charles and Cecilia Maria Cotton came from Leicester/Worcester. They married in December 1886. Charles was first a shoemaker, and later entered the prison service in Worcester, then Portland, then Isle of Wight then Lewes Prison. Peter assumes the family moved around with their parents. 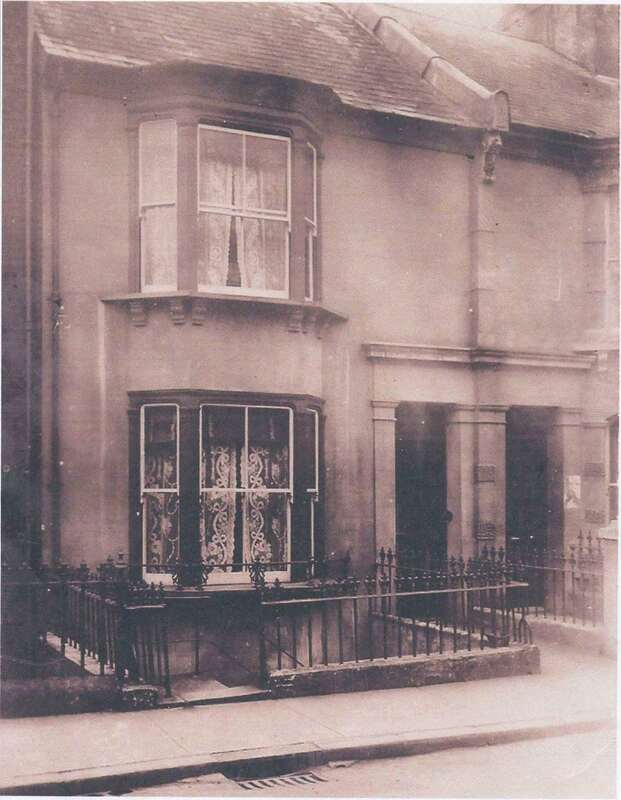 When Charles and Cecilia arrived in Lewes in about 1918 they had a family of nine children (five girls and four boys*, born between 1888 and 1909) and probably moved immediately into 30 Grange Rd and resumed his profession as shoemaker, with a shop in Lewes High St. He retired and died in 1940. 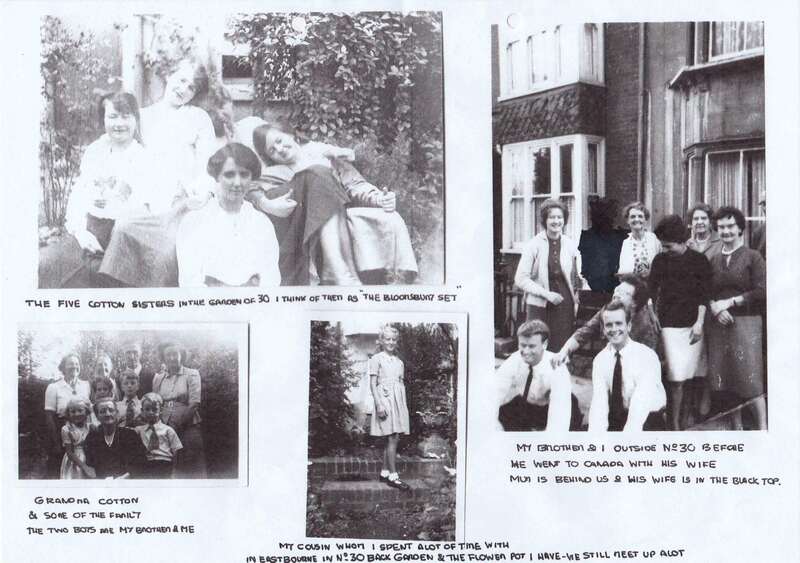 It seems that only four or five of the children lived at 30 Grange Rd. Auntie Ciss was the eldest, born in 1888 and being the eldest she did not get married, staying with her parents until they died. She then stayed on at No. 30 until her death in 1971 aged 83. No. 30 was then put on the market. Of the Cotton children, four of them got married and moved away; the two younger brothers did get married in Lewes. Despite several of the children moving away, they all returned many times to No. 30. Cecilia died in Lewes in 1950 aged 86. My father died in November 1942. He took part in the 1914-18 war, not the second war. My mother, being a very hard working person decided she must support my brother and I, so she took up working and travelled to Horley (near Gatwick) 5 ½ days a week, so every day we were dropped off to be with a lovely family in Brighton whilst Mum went to work, and we were picked up each evening to go home. Therefore most Sundays, holidays etc. we would end up at No. 30 in Lewes with Mum, Grandma and Auntie Ciss. Christmas times were great because we stayed over (summer holidays, we were usually in Eastbourne with Mum’s sister). 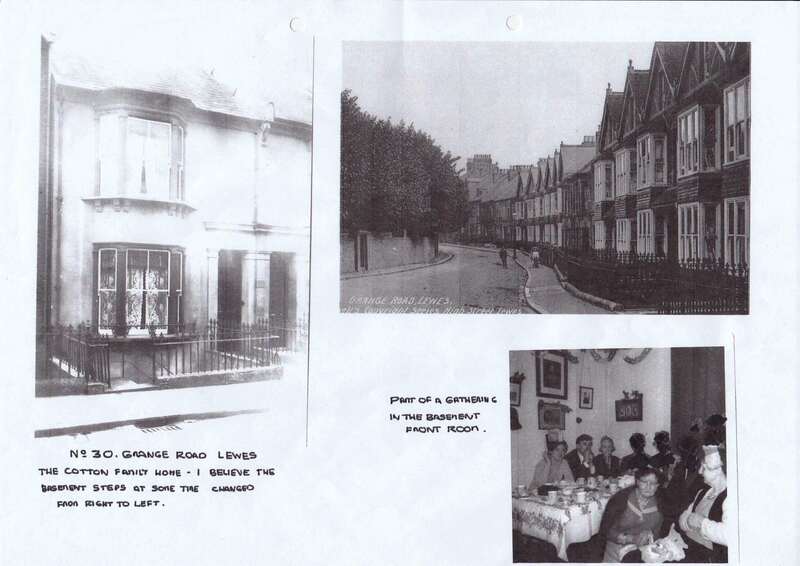 Going from a two-up two-down at Lovers Walk Brighton, to a four-storey house in Lewes was great, especially when aunts/uncles and cousins arrived. Of course there was no such things as TVs, bath, showers etc., and it was scary going to the outside toilet (at the outside/back of the house) at night! We spent most of our time in the basement room, playing games etc., and of course we were near the food in the basements at the bottom of the stairs. A gas lamp was lit at night. There was a boiler in the kitchen, but I don’t remember having a bath, just a washdown. Between the basement front room and kitchen was a pantry where the meat always hung. At Christmas/holiday times I’m not sure how we all ate in the basement front room. At pavement level on the front of the house was Grandma’s sitting room and the adjoining room was her bedroom (I believe Auntie Ciss slept with her). We had to be very quiet in Grandma’s room and sit up and not lean on the cushions. The picture of No. 30 shows the steps down into the basement in the front as being on the left-hand side – I believe they now go down from the right side? The next floor up was the two bedrooms for the grown ups when staying over. If we stayed over my brother and I always had to sleep in the attic, very scary, especially when Father Christmas arrived (a long way from the basement). The back garden was heaven. It was long, we could run, shout and play games and the stream was at the bottom. We could sit on the wall and fish, but not much luck. On the back of the house near the top, one of the windows had some coloured glass round the edge. One time later I walked by No. 30 and it was up for sale. I wanted to go in and see what alterations had taken place, but decided not to and walked past, just with the memories. It was great to go to the Boxing Day meet, and as we got older we were sometimes allowed to Bonfire night. I suppose I can say, being at No. 30, on and off, we did not mix much with the neighbours (that is, us as children). I can recall No. 31, their surname was Gardeners (or similar). The only other person I recall was Miss/Mrs Williams at No. 1. I think she was quite scary and seemed to be on the front doorstep every time we went by (no disrespect). 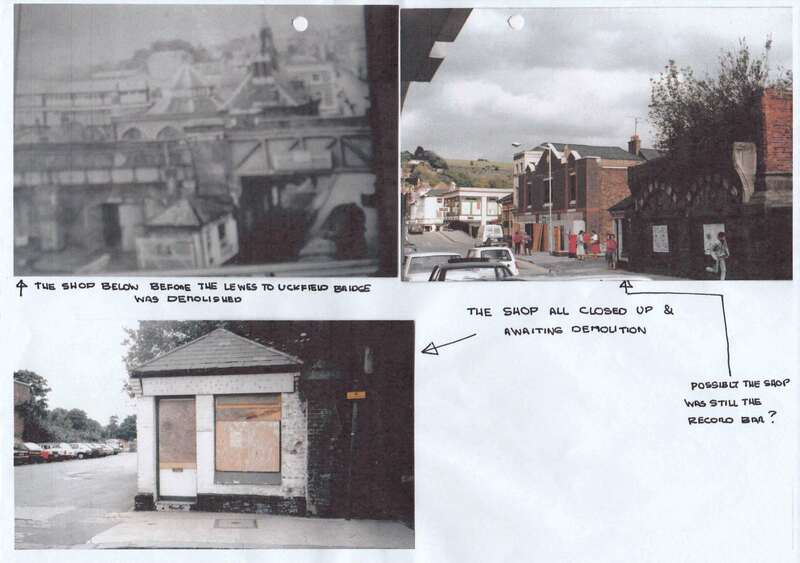 Re Grandad’s “Shoe repair shop” it was originally for the gatekeeper to the railway sidings and sold coal when the railway went from Lewes to Uckfield over the High Street. 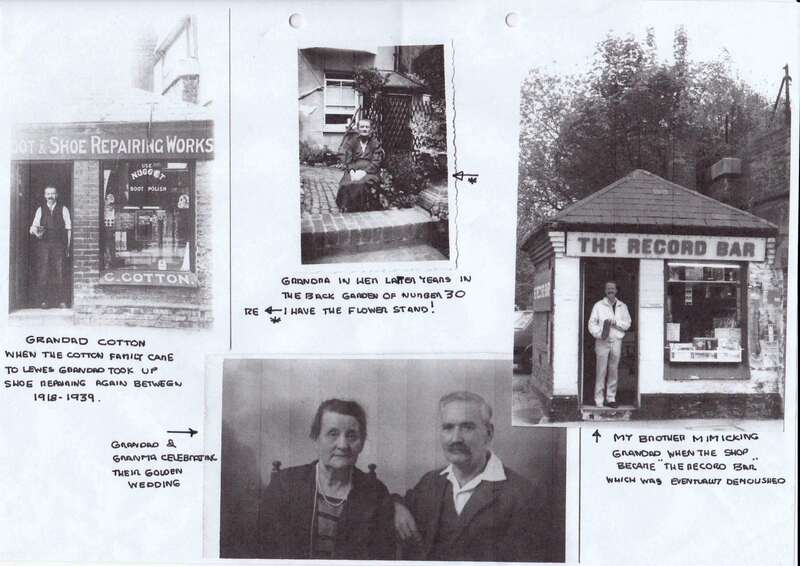 I am not sure when Grandad took the shop over (after his return to Lewes in 1918). It was said to be about 8 ft by 8 ft. I can recall when the shop was taken over as a record shop and repainted, you could still see Grandad’s name “C. Cotton” through the paint. PS Sorry, one last bit, one of the younger brothers did attend Western Road Council School. I did not see the stream overflowing into the gardens and house, but I recall Auntie Ciss showing us the tide marks about halfway up the bottom staircase.